New kitchen installation, Day 1. Short version: our transition is ongoing. 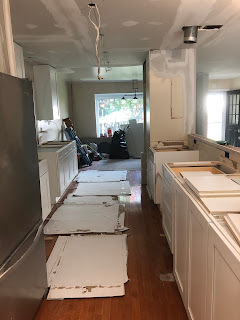 Slightly longer version: we've been camped out in northern Virginia in a friend's basement for 5 weeks; tomorrow we shift to a short-stay apartment closer to our new house/construction site. We have now officially entered the intensive phase of renovation, and our household goods are expected to arrive in port from Australia shortly. Summer vacation 2.0 is entering its final phase for Miss B, with just over 2 weeks until school starts. 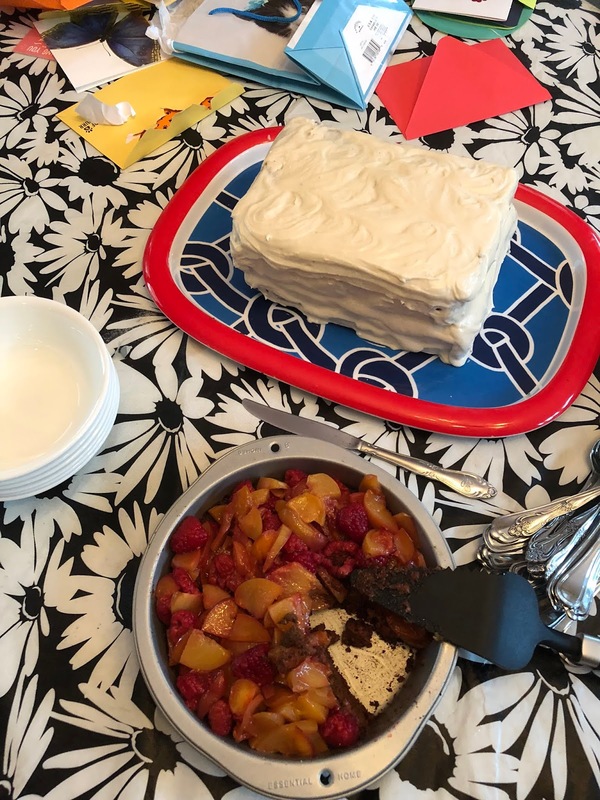 DP is enjoying settling into his new job, and my working life has entered an interesting phase, of which more later - right now I'm mainly focused on juggling between work and contractor responsibilities, interspersed with occasional interactions with spouse and child. My mantra of the moment: "It'll all get done somehow." And I'm not complaining - I knew what August would be like when I signed up for this. 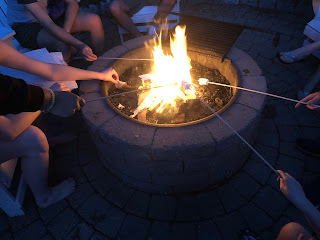 Highlights included s'mores on the back patio and a mass birthday party for all the summer birthdays in my family (about half of the 15 people in attendance - I contributed the desserts). Other highlights, not pictured: the cousins' sleeping loft; Mexican train dominoes; loafing in rocking chairs on the porch; unscheduled time with a lot of people I've been missing for a long time.